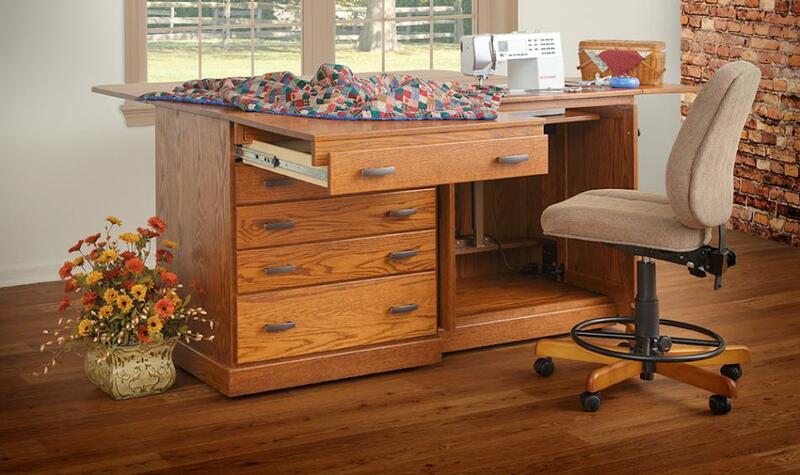 Are you looking for an up-sized sewing cabinet? 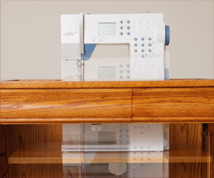 The Quilter’s Delight III (Model 230) boasts drawers 4 ½” wider and 2” longer than the Quilter’s Delight II. 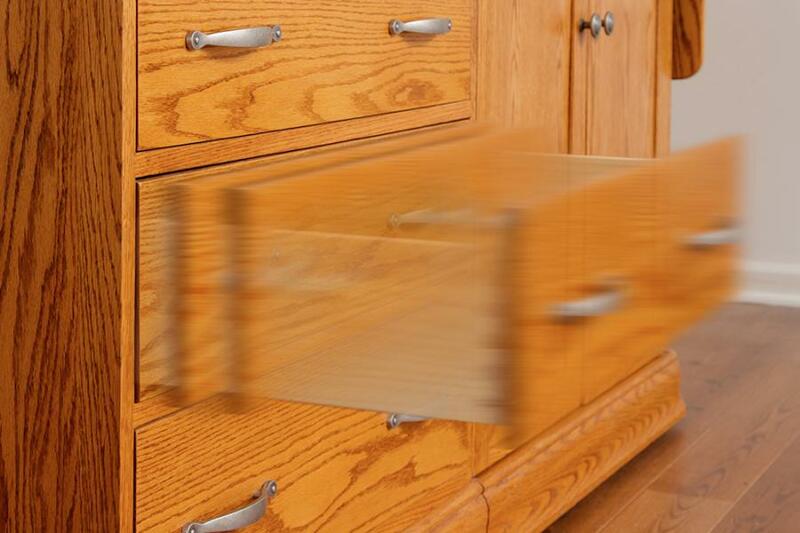 The drawers are 26” wide by 20 ¼” long. The top drawer is 3” deep, the two center drawers are 3 7/8” deep, and the bottom drawer is 7 1/8” deep. 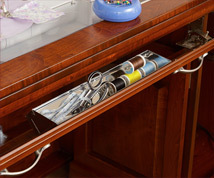 The bottom drawer gives you the perfect spot to store larger items such as a sewing machine embroidery unit or other attachments. 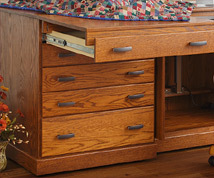 The Quilter’s Delight III has the same size drawers as the Sewing Center IV. Pictured here is the Quilter’s Delight III with the additional height added. At 33 ½” high, the extra inches make the two middle drawers 5 ¼” deep instead of 3 7/8” deep. 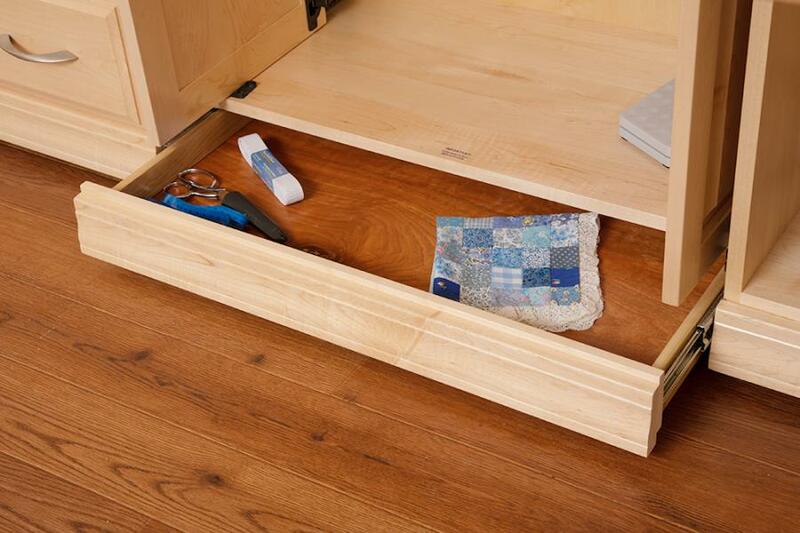 You also get a floor drawer beneath the kneehole. 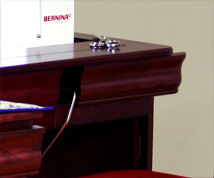 The Quilter’s Delight III contains an opening for machines up to 24” long. The pocket doors slide along the sides, opening to give you a roomy kneehole with plenty of space for your foot pedal. 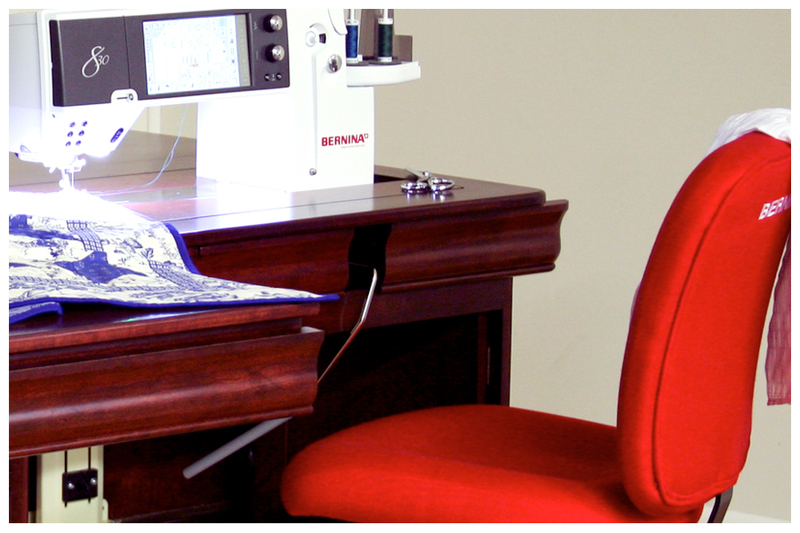 The large, smooth surface area provides an ideal workspace for large sewing projects such as quilts. 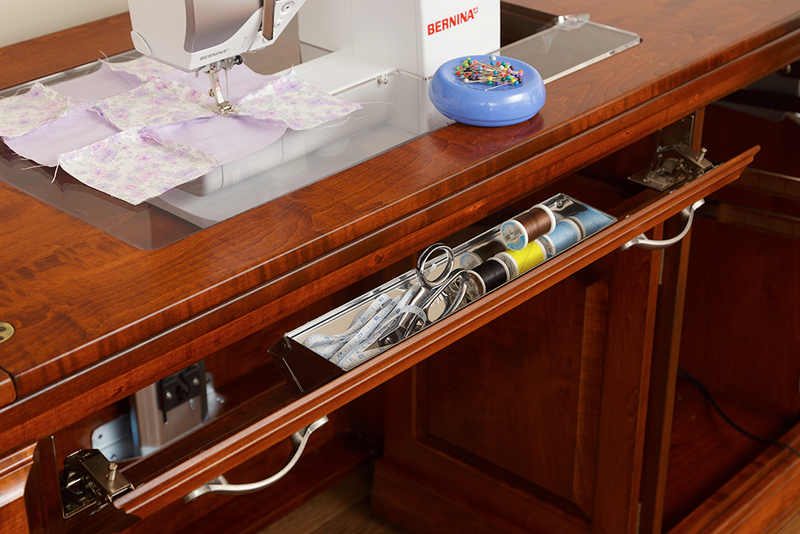 When open, this sewing cabinet has a depth of 49”. Sewing becomes much easier when you have a flat space where you can spread out your project. 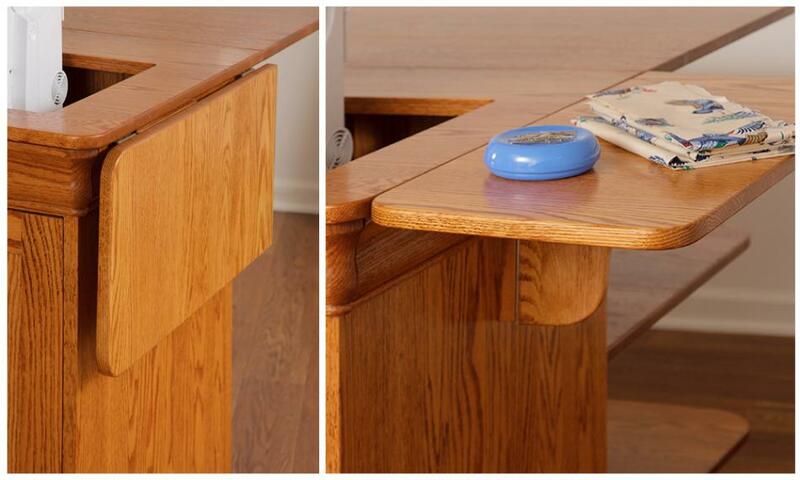 We use full-extension ball-bearing slides for our drawers. 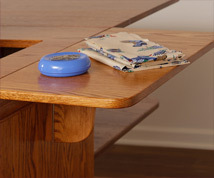 Our high-grade conversion varnish resists water and withstands many household chemicals. 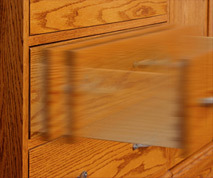 With our solid hardwood construction, we guarantee you a cabinet that will last for countless hours of use. 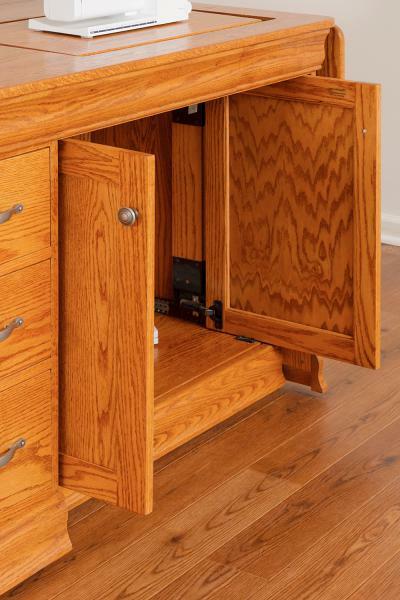 We build cabinets using oak, cherry, and maple. With our variety of stain options, you should be able to find something that matches the rest of the furniture in your room. 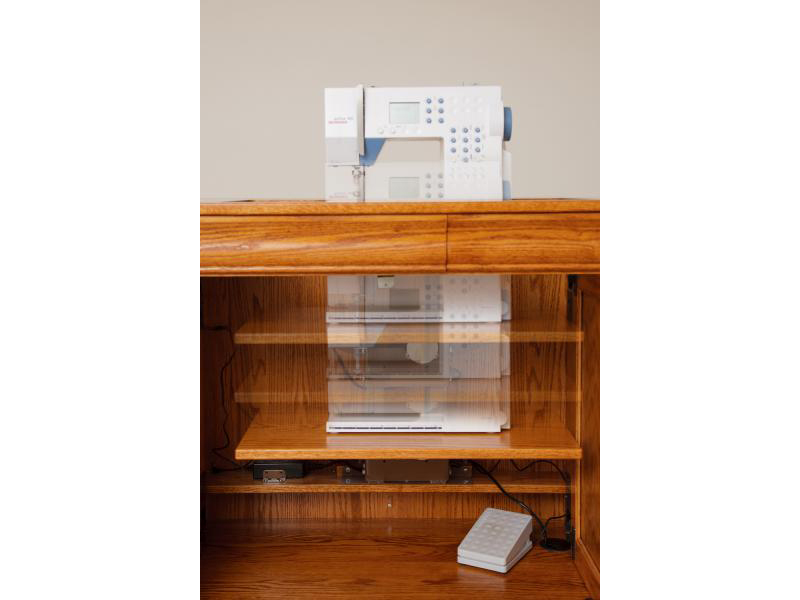 Remember that we can customize your cabinet. Check out the option pictures to get your mind rolling. 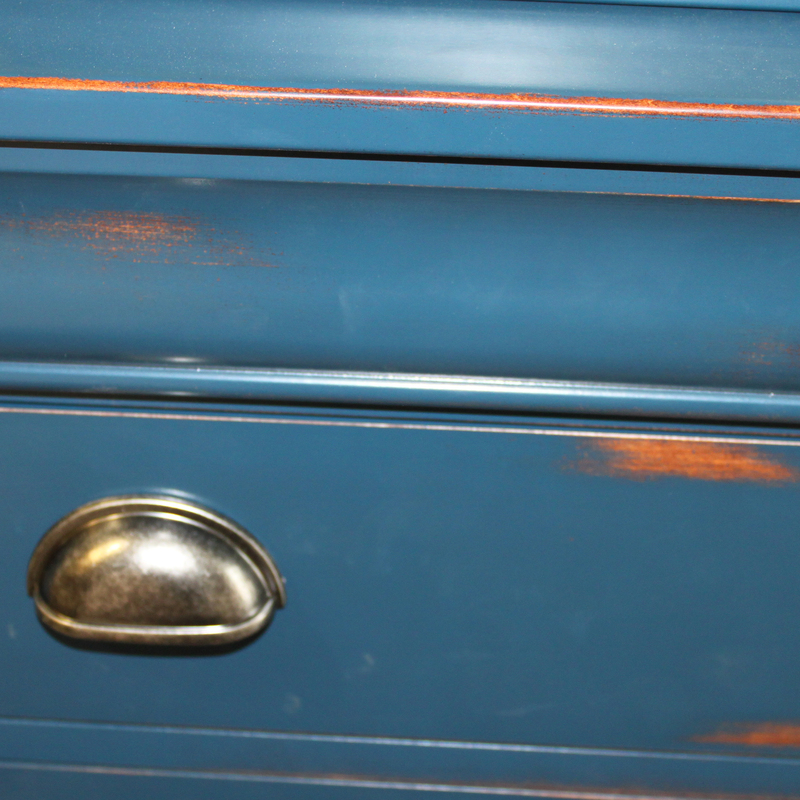 Would you like the distressed finish? 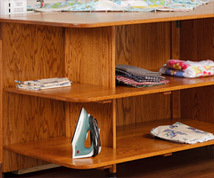 Do you want the cabinet with the finished back so that it looks good sitting in the middle of the room? 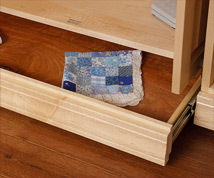 How about ordering a back shelf kit to store extra fabric scraps and the quilt patches you cut out? 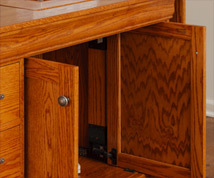 Call us today at Gristmill Furniture to find out how we can help you build a sewing cabinet that fits your hobby or business needs! • Dimensions – W 64.5 in. x D 25.25 in. (49 in. open) x H 30.5 in. Quilter's Delight III in oak with Harvest stain. 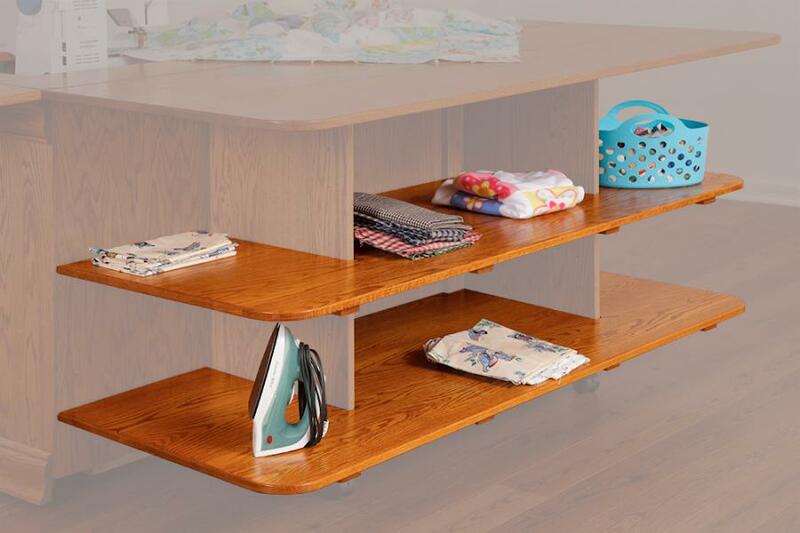 Includes optional additional 35" height, pocket doors, custom hardware, and right-hand side wing.